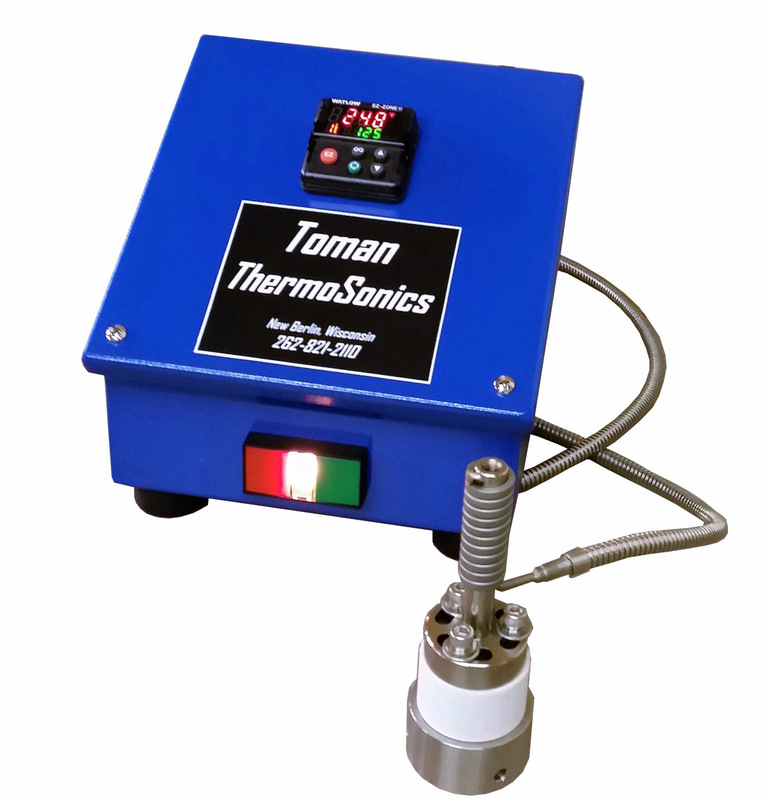 This thermal conversion kit simply turns any 20 kHz ultrasonic welder into a thermal assembly system. The model 2005 supplies the heat while your welder controls the timing. The kit consists of a control box with a Watlow temperature controller and a probe assembly, which includes a standard thermal probe, an insulator block and a stainless adapter block. It also includes a stud to attach the thermal probe to your welder. With our available adapter, it can be used in any drill press or milling machine with 1/2” capacity for proto-type work or low production jobs. It can also be mounted on a manual arbor press. To set up the thermal conversion kit, attach the 2005 thermal probe assembly to any booster that fits the 20 kHz welder you want to adapt. Then attach that booster to the welder. Set the 2005 temperature controller to the desired temperature, and choose the assembly time by setting the weld and hold timers on your 20 kHz welder. That’s all there is to it. You now have a thermal assembly press.